This month EAPS welcomes two new department members, Janni Yuval and Basile Gallet, and congratulates EAPS colleagues -- Christine Maglio, Mira Parsons, and Faith Zhang -- on their recent promotions to senior financial assistant. 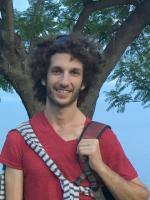 Janni Yuval is EAPS distinguished postdoctoral fellow working with the O’Gorman and Cronin groups. He is a research scientist at the Weizmann Institute of Science, where he was formerly a postdoc working in fluid dynamics. Most of Yuval's research during his PhD focused on improving our understanding of the large scale circulation in the atmosphere, particularly on storm tracks. More recently, he has been interested in integrating machine learning and causal inference methods into climate science. One such example that he finds particularly interesting, is using machine learning to improve convection parametrization schemes. A machine learning convection scheme has the potential to reduce precipitation and temperature uncertainties in a global warming scenario. Yuval has a PhD from Department of Earth and Planetary Sciences, Weizmann Institute of Science (2017); MSc in Physics from Weizmann Institute of Science (2013); and a BSc in Physics from Tel Aviv University (2010). 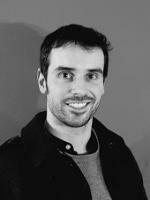 Basile Gallet is a visiting scientist with the Ferrari group. He is a researcher working at the "Service de Physique de l'Etat Condensé", CEA Saclay, France. Gallet is interested in geophysical fluid dynamics, which he studies by designing simple models of turbulent natural flows. These models are either theoretical, and solved analytically and numerically, or laboratory experiments. While completing his PhD, he researched the dynamo effect, with both theoretical work on randomly reversing magnetic fields and experimental work on the Von Karman Sodium dynamo experiment. Gallet then looked at the long-distance propagation of swell in the Pacific Ocean at Scripps Institution of Oceanography, before coming back to the laboratory to study rapidly rotating turbulence and wave mean-flow interactions. Gallet's most recent work concerns radiatively-driven convection, a type of convection encountered in many flows of geophysical and astrophysical interest. This convection work, together with studies on wave-mean flow interactions, constitute the topic of a European Research Council grant that was awarded to Gallet for the coming 5 years. Gallet has a PhD in Physics from the Laboratoire de Physique Statistique, Ecole Normale Supérieure (ENS) and has a 2nd year Master's degree in Fluid Mechanics. Additionally, he often participates to the Geophysical Fluid Dynamics summer program of the Woods Hole Oceanographic Institution (WHOI), and was awarded the GFD Distinguished Scholar award in 2016.